Who lives? Who dies? Here's another round of spoilers from the Legion Alpha! About a month ago, we informed you about the fate of some of World of Warcraft’s most important characters in Legion. Combining some new information that surfaced lately with some things we already knew, here’s what the future holds for some of our favourite characters! Today, we will be visiting some new characters, but we will also mention characters that were discussed in the previous article: mainly Vol’jin, Sylvanas Windrunner and Tirion Fordring. Please remember that most of this information is from the Alpha, without a lot of context and it can be subject to change. And don’t forget: spoilers ahead! Everyone’s favourite Shaman has always been on the good side of the elements, this ancestral force that has mostly been tied with the Orc culture. It seems that this is not the case anymore. You might remember that in the end of the Nagrand questline in Warlords of Draenor, Thrall challenged Garrosh Hellscream to mak’gora. This is an orcish duel of honour, where both participants fight only with their weapons and sheer physical strength. However, Thrall let his personal vendetta against Garrosh cloud his judgement and used the elements to kill Garrosh. This action seems to have angered the elements, who do not obey Thrall anymore. MMO-Champion has revealed some references showing Thrall desperate and on the verge of committing suicide. 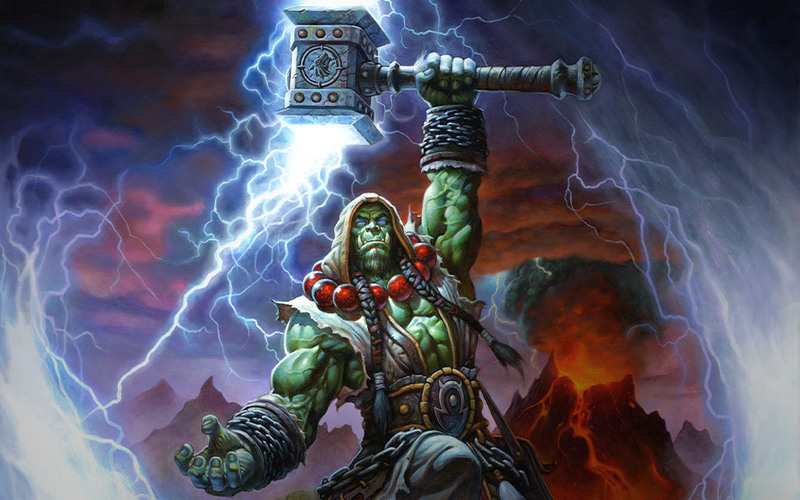 In an attempt to gain the elements’ favour again, Thrall gives his weapon, the Doomhammer, to the player. The reference ends on a somewhat positive note with Thrall asking the elements to teach him again. This incident seems to be part of the Enhancement Shaman artifact questline; you can read more about the Shaman artifacts here. It is still shocking to see that the most powerful Shaman in Azeroth is forced to pass his weapon down to someone else, and then goes back to being an apprentice Shaman! 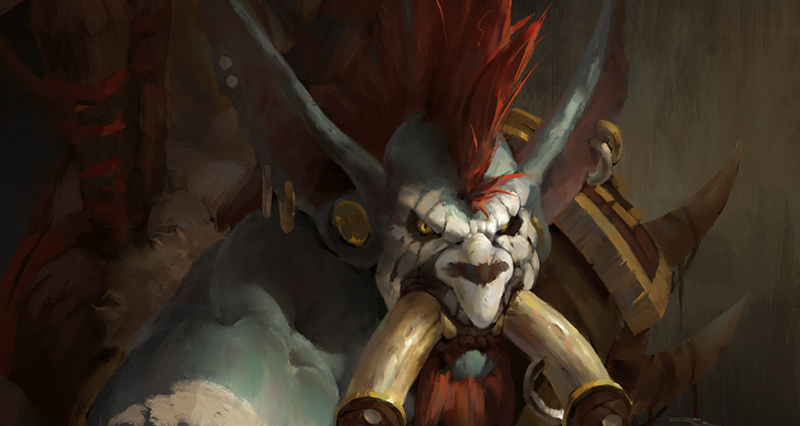 We talked about Vol’jin going MIA in our previous article and since then, a few other pieces of information on the Warchief have surfaced. One of them is a quest title, “Vol’jin’s Funeral”. 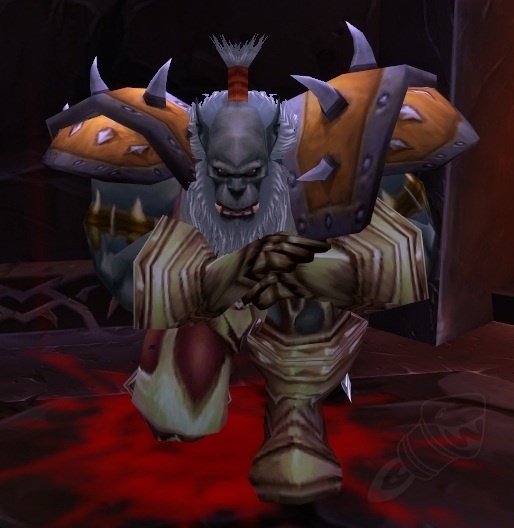 This doesn’t mean that Vol’jin is 100% dead: it might be a funeral without a body. Moreover, MMO-Champion again has datamined a conversation involving Vol’jin and another participant. In this conversation, Vol’jin mentions that in order to face the Legion, Azeroth needs the help of “an old knowledge” and “someone who understand dem fel magics from long ago”. The Warchief adds that he “be goin’ to visit an old friend”. Who is this person or people that Vol’jin is referring to? In our previous article, we mentioned that the most popular theory is that Vol’jin is going to unite the Troll tribes, and this conversation seems to reinforce that theory. The Trolls have been around since the very first invasion of the Burning Legion in Azeroth, therefore it is safe to assume that they know better how to tackle this ancient enemy. Perhaps Vol’jin is going to visit Zul, leader of the Zandalar tribe, and ask for their aid in the battle against the demons of Sargeras. The Zandalari haven’t exactly been best pals with the good side, since we’ve fought against them numerous times. Another interesting theory is that Vol’jin is going to sacrifice himself to communicate and seek the aid of the Loa, powerful spirits, worshipped by the Trolls, that predate even the Titans. Vol’jin is definitely up to something and his mission is probably going to be successful. The only issue is: will he survive or not? And who is he having the aforementioned conversation with? From the way he/she speaks, the other person is definitely not a Troll; the most prominent theory at the moment is that the other person is Sylvanas Windrunner! Most speculations indicate that the person conversing with Vol’jin is Sylvanas. This person seems overly concerned with the protection of their own city against the Alliance: “And what of my guards, Warchief? We cannot afford to leave the city in its state. The Legion is threat enough, and the Alliance - the Alliance will surely strike when our guard is down.” Even though the city might just as well be Orgrimmar, Undercity seems to fit better: it’s a former Alliance city; it is situated in the Eastern Kingdoms, where the Alliance is stronger; it has already been invaded by the Alliance after the events of the Wrathgate; and lastly, the conflict of the Undead with their neighbourly Worgen has escalated since the Cataclysm. If Sylvanas is indeed the person Vol’jin is talking to, then it means she is part of his plan. Perhaps Vol’jin wants the Horde’s enemies to believe he is dead, while he is on his secret mission. The Horde has been in a weak spot compared to the Alliance, the events of the Siege of Undercity and of the Siege of Orgrimmar being proof of that. With Vol’jin going missing for a while, the Horde would be in a vulnerable spot again. However, appointing Sylvanas – perhaps the most powerful adversary of the Alliance within the Horde – as Warchief in action, while Vol’jin is seemingly dead, is a solid tactical move. It would also mean that Sylvanas doesn’t have any secret plans and is actually on the good side, which would please fans of this popular character. The opposite scenario seems ominous: Sylvanas was never pleased with Vol’jin’s selection and she is all too eager to replace him as Warchief. The Banshee Queen is also very interested in the Val’kyr residing in the Halls of Valor in Stormheim. After the Lich King’s fall, Sylvanas had made a pact with the nine remaining Val’kyr: to bind her life with theirs. Ever since, she used the power of the Val’kyr to create more Forsaken, as well as return herself to life after dying twice. Now, with only four Val’kyr left, the newly appointed Warchief has set her sights on the new zone of Stormheim. Additionally, there are some implications that perhaps she had something to do with King Varian Wrynn’s untimely death. To sum up, Sylvanas always cared more for herself and her people than the Horde and her plans have been questionable at times. Will we see her as a future raid boss? Or will the “Sylvanas is good” theory be the correct one? These two legendary characters are back from a long time of inaction and they seem to be part of the Retribution Paladin Artifact questline. 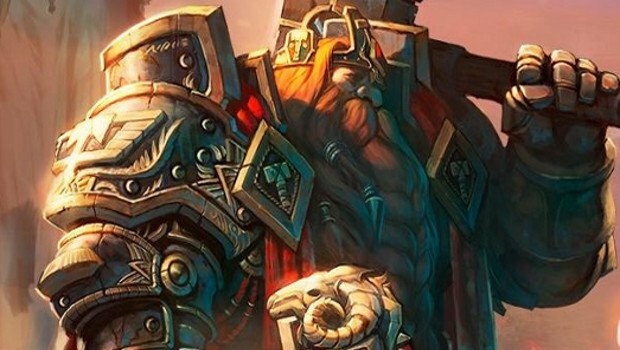 Technically, both Magni and Eitrigg are Warriors, but they both have a connection to the Ashbringer: Magni Bronzebeard was the one who crafted the sword, whereas Eitrigg was one of Tirion Fordring’s closest friends. Now that Tirion is sadly dead, our best guess is that these two characters hand in the Ashrbinger to the Alliance or Horde player respectively at some point. Magni Bronzebeard crafted the Ashbringer; you can read all about this story in our Paladin Artifact series article. Back when the Cataclysm first hit Azeroth, the then King of the Dwarves underwent a mystic Titan ritual to commune with the earth itself by activating the Ulduar tablet. However, he made a grave mistake in interpreting the tablet, as the ritual was meant to turn the caster back to earth. Therefore, Magni turned into diamond and his statue-like body can still be found in Old Ironforge. He was succeeded by the Council of Three Hammers, a council of representantives of the three major dwarven clans which consists of: Muradin Bronzebeard, younger brother of Magni, representing the Bronzebeard clan; Moira Thaurissan, Magni’s daughter, who was abducted by Emperor Dagran Thaurissan, but subsequently fell in love and had a child with him, representing the Dark Iron clan; and Falstad Wildhammer, representing the Wildhammer clan. Magni was presumed dead and it’s interesting to see how he recovered from the ritual and if he is going to reclaim the leadership of the Dwarves. Eitrigg is an Orc veteran, who has been around ever since the First War. After he learned about Gul’dan’s betrayal, he decided to live on his own in the wilderness. One day, he was found by Tirion Fordring in the ruins of an abandoned watch tower. The Orc and the Human naturally started fighting each other; however, the tower began collapsing and Eitrigg ended up saving Tirion. After this, a strong bond of brotherhood was forged between the two. Eitrigg served as Thrall’s advisor, when the latter was the Warchief; when Garrosh became Warchief, he shunned the old and wise orc’s counsel. He can be found in Zul’Drak in Northrend, leading the Argent Stand’s fight against the Undead, as well as in the Siege of Orgrimmar. Since I am unfortunately not in the Legion Alpha, I’ve had to get some help from Wowpedia to decipher a dialogue datamined by MMO-Champion. The dialogue takes place in the Darkheart Thicket dungeon, which is now live in the Alpha. 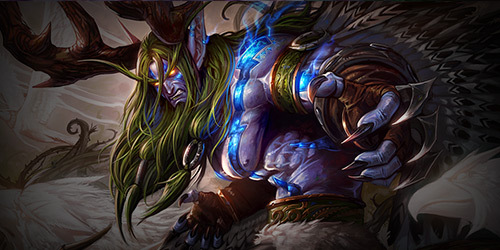 But first, some back story: Malfurion will go through some pretty tough situations in Legion. He is going to try to reclaim the Tears of Elune, one of the Pillars of Creation needed to stop the Burning Legion’s invasion. The Tears are assumedly held by Cenarius in his Grove in Val’Sharah. 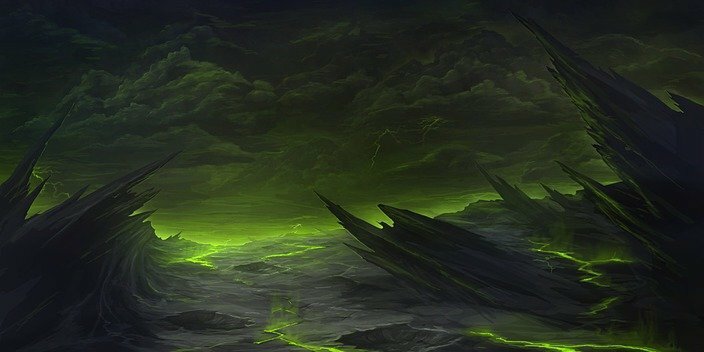 However, once he arrives there, he finds that Cenarius has been corrupted by the Emerald Nightmare. Malfurion proceeds to call for the help of three ancient archdruids: Koda Steelclaw, Thaon Moonclaw and Elondir. However, Thaon is immediately corrupted by the resurrected Xavius. Malfurion, Koda and Elothir then call Ysera to aid them. 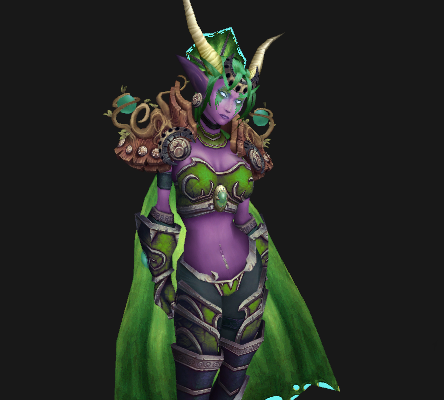 To make matters worse, Ysera gets corrupted by the Nightmare too! Finally, under siege by Xavius and his Nightmare forces, Malfurion is taken captive. As this event unfolds, Tyrande arrives with the player, after seeing a vision of her husband. It is probably this vision that takes place in the aforementioned dialogue. In the dialogue, Tyrande talks to one of the three ancient archdruids, Elothir, who has been taken over by the Nightmare as well. Before he gets fully corrupted, Elothir warns that Malfurion is in grave danger. According to Wowpedia, some very dramatic events follow. Xavius will give Tyrande an ultimatum: save her husband or protect the Temple of Elune, which is under siege by Xavius’ forces. Tyrande will choose to let go of her husband. Eventually, Malfurion will be freed by the players at the Darkheart Thicket dungeon. That’s it for this article, and hopefully we will have some more spoilers in the near future! What I’d like to comment on is the extent at which players of various classes have to go to acquire their respective artifacts: Tirion Fordring has to die, Thrall hands over his signature weapon, while the guy who gives Death Knights their artifacts is none other than Bolvar Fordragon aka the Lich King. What I am trying to say is that aren’t we, the players, becoming slightly overpowered? We had the class-specific legendaries in the past, we got the power of the four celestials in Pandaria, we received the power of the Draenor elements... As Tyrael said in the end of Diablo 3: Reaper of Souls, is so much power concentrated into a single person good? At this point, the players are probably stronger than the most OP characters in the Warcraft lore. What do you think? And what’s your opinion on the fate of the other characters? It is very noticeable how powerful our characters are getting. Beyond that, also just their progression as having a place in the world and its events. We were adventures, champions, in wod we became commanders then eventually general aka ranking with nazgrim (for our horde buddies), and now in Legion we are becoming the leaders of our respective classes. I think and have been saying for some time that, eventually our characters will become the respective warchief and or king of our factions eventually.